High profile players suggest Tim Ferriss pass on “Poker Brat” self-promotion. Earlier this month, 4-Hour Work Week author Tim Ferriss reached out to the poker community via Twitter to request feedback on an upcoming Fear(less) episode that will feature high profile poker personality Phil Hellmuth. The series is being produced by Hollywood actor/screenwriter Vince Vaughn and will premiere next year on the AT&T Audience Network. Ferriss, a three-time New York Times and Wall Street Journal #1 Bestseller who was named “The Superman of Silicon Valley” in a vintage May 2007 WIRED magazine article, enjoys established mainstream credentials along with a highly-informed social media following — earned via an incredible career filled with unique experiences that the self-help star has meticulously documented in his content. His impressive list of podcast guests includes the likes of former California governor Arnold Schwarzenegger and musician/performing artist Amanda Palmer. The Princeton University graduate also has a treasure trove of information uploaded to his YouTube channel; such as the following Tim Ferriss Experiment segment in which the soon-to-be-40 New York native attempts to speed-learn poker. 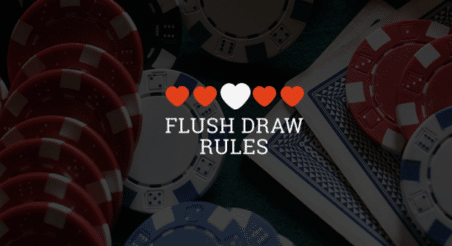 Ferriss’ call to action for Hellmuth exploration immediately attracted the attention of — as F5 Poker contributor Samantha Bevington put it — a “veritable who’s who” of elite poker pros rounded-out by TwoPlusTwo Pokercast co-host and MMA cage fighter Terrence Chan. High stakes pro Connor Drinan posted that Ferriss’ audience “won’t be impressed” by Phil Hellmuth, which was followed by perhaps the most succinct reply — put forth by former Team PokerStars Pro and Joe Rogan Experience guest “Hollywood” Ike Haxton. Both players have earned well over $10 million in combined career live/online tournament cashes and routinely communicate with the poker forum community. @ConnorDrinan @tchanpoker @tferriss he's not competitive at an elite level, not interesting speaker, promoted a site that robbed customers. Friends of Team Upswing Jason Mo, Kristy Arnett, Jimmy Fricke and Dietrich Fast all made an appearance in the Tweet, as did recent Reddit AMA host and 2016 WSOP Tag Team Co-Champion Ryan Fee. @TonyDunstWPT @ikepoker @ConnorDrinan @tchanpoker @tferriss yep, I also agree. @DWBenefield @tferriss hahaha this thread is amazing. As someone who interviewed poker players for over a decade, I also agree. No to PH. Rather than focus on the career and present-day Candy Mountain Charlie shunning of 14-time WSOP bracelet winner Phil Hellmuth (which is already documented in this September 2015 poker subreddit entry), the story with broader implications is the massive influence and authority established poker pros currently wield on social media and third-party platforms; specifically personalities who have a reputation for being forthright in their communications with poker insiders and fans. As referenced in our Top 5 Relevant Poker Personalities of 2016 article, talent-based outreach is surging throughout traditional sports, eSports, video games and social media outlets. The corresponding grassroots engagement today’s community-friendly poker pros enjoy calls into question how long controversial figures in our industry can ignore poker fans’ desire for information as their high profile peers roll out the proverbial red carpet towards the closest exit sign. According to ThePokerPractice.com, Hellmuth has already spent three hours of on-camera time with Ferriss and will be showcased in a TBA 2017 episode alongside David Blaine, Bill Rasmussen and Bill Burr. The verdict on whether The Poker Brat‘s pending Fear(less) appearance will result in a tirade of knowledge bombs or drama bombs likely won’t be decided until shortly after that episode airs; which leaves ample time for the 14-time WSOP bracelet winner to respond to his peers’ questions and criticism if he chooses to do so.